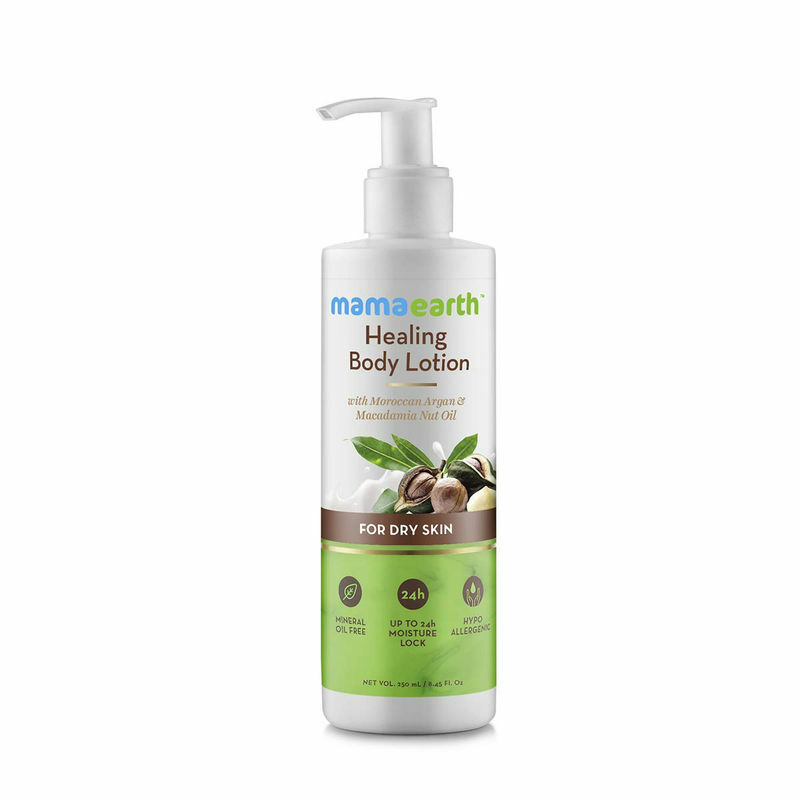 Mamaearth's Healing Body Lotion with argan oil and macadamia nut is the perfect tailored wholesome and natural ingredients based care for your dry skin. Packed with two natural moisturising ingredients such as argan oil and macadamia nut, this lotion prevents moisture loss from the skin and keeps your skin hydrated for upto 24 hrs. Argan oil with its high Vitamin E and fatty acid, hydrates your skin and boosts its texture, while macadamia nut with palmoletic acid has a healing effect on your skin. This lightweight and non-greasy formula contains shea butter that deeply penetrates the skin to make it soft, supple and smooth. Especially recommended for those with dry skin, this product is dermatologically tested and safe for everyday use.